( It takes about one month to arrive). 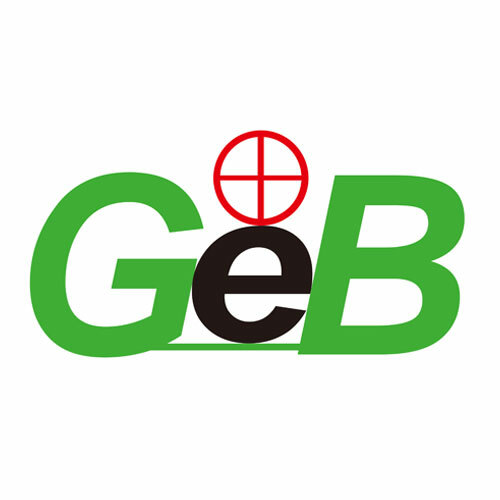 A.Telecommunications: Cellular phone, interphone, blue tooth earphone, ect. B.Video Devices: MP3/MP4/MP5, digital camera, portable DVD, portable television, electronic cigarettes, electricity sound box, ect. C.Portable Devices: GPS,PDA, E-book ,PMP, PSP, laptop, walkie-talkies , portable medical device, etc. D.Illuminate Devices: Miner lamp, search light, ect. 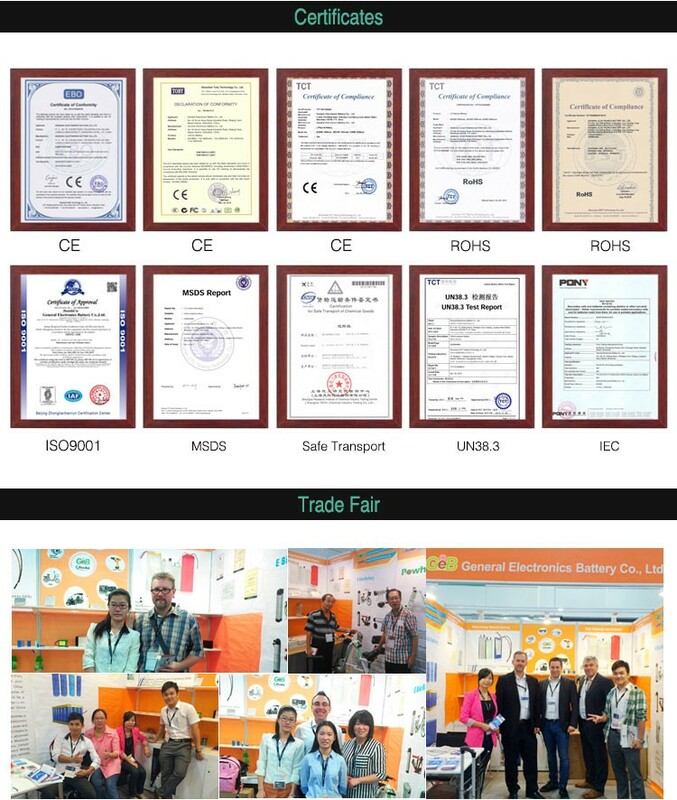 E.Others: Electric Toys, RC models, model aircraft, backup power, mobile power supply, hand electric drill, ect. 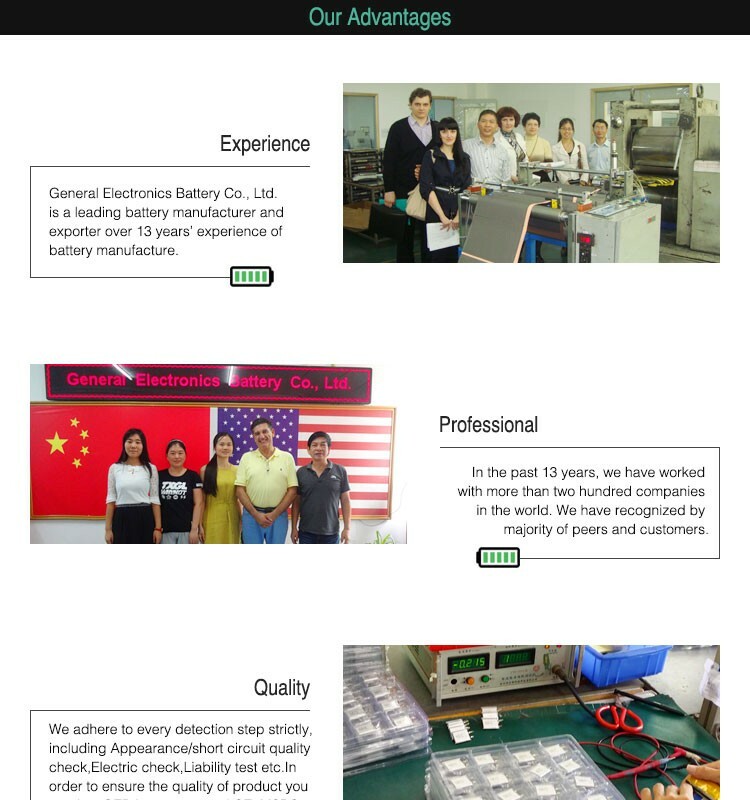 (1)Guarantee to keep the battery in good repair in 12 months from the shipment. 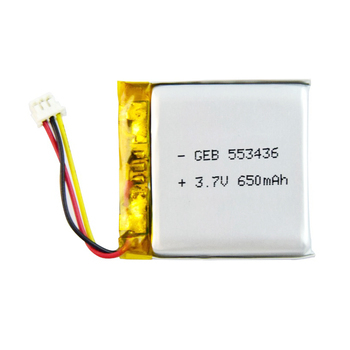 (2)Please use 0.5C current to charge up 60% capacity after the battery placed 3 months. (3)Before Use the battery, carefully read the instruction manual and battery labels on the surface. (4)Need to use the original battery charger, and should be placed in a dry ventilated place. short-circuit or damage to the phenomenon. 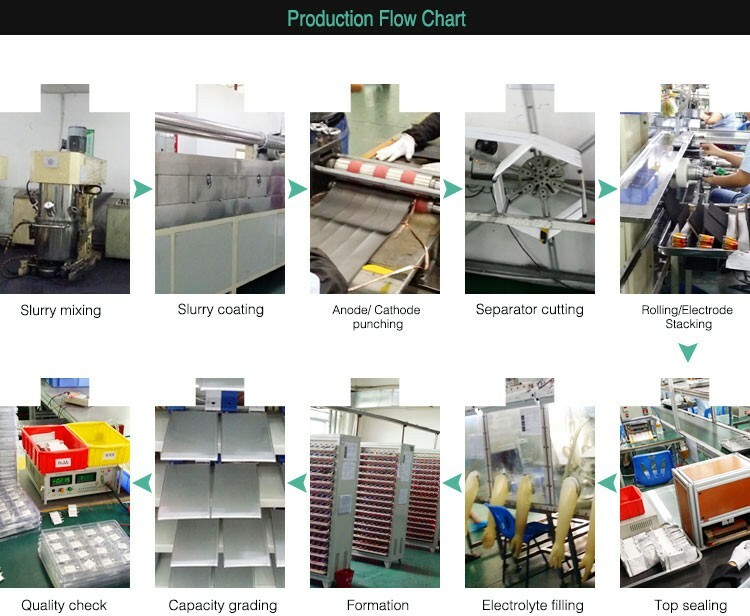 (6)In use or during storage, battery found there has been high fever, leakage, odor, distortion and other anomalies, please stop using it immediately and stay away from the battery. 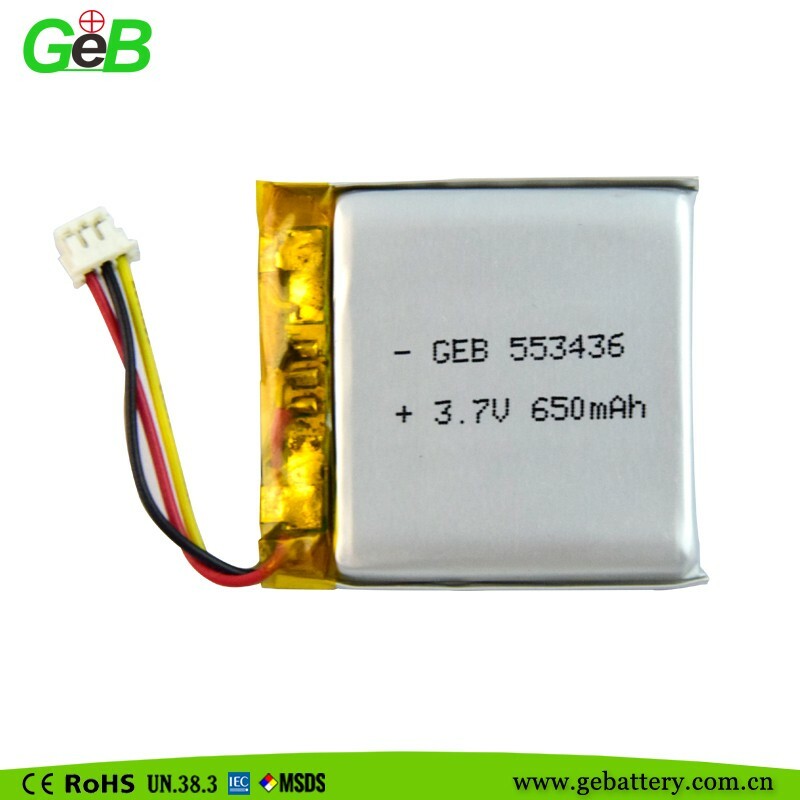 (7)Do not short-circuit the battery positive and negative, and careful not to allow the battery to moisture, to avoid danger. 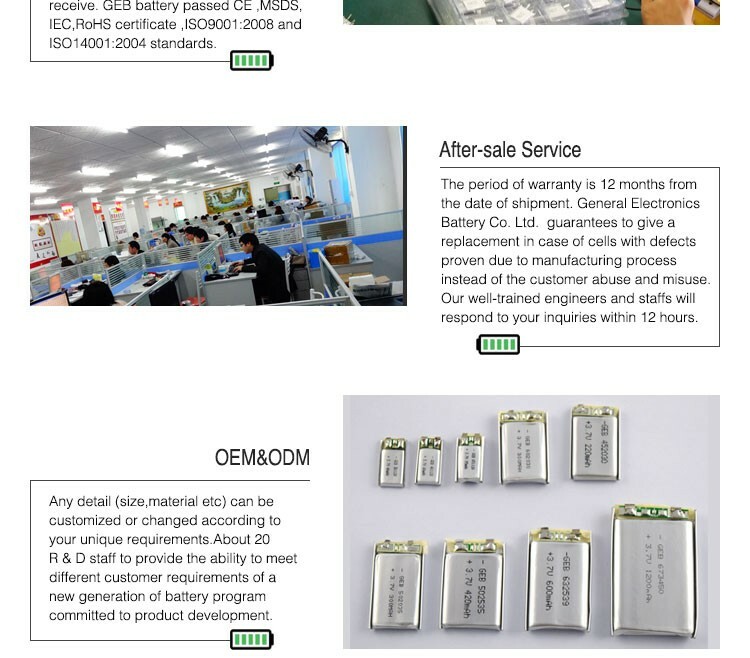 (8)Using, keep away from heat, High pressure place, and do not beat, hit the battery. (9)Battery end of life should be immediately removed from the equipment, Please properly handle security of spent batteries, do not put into fire or water. 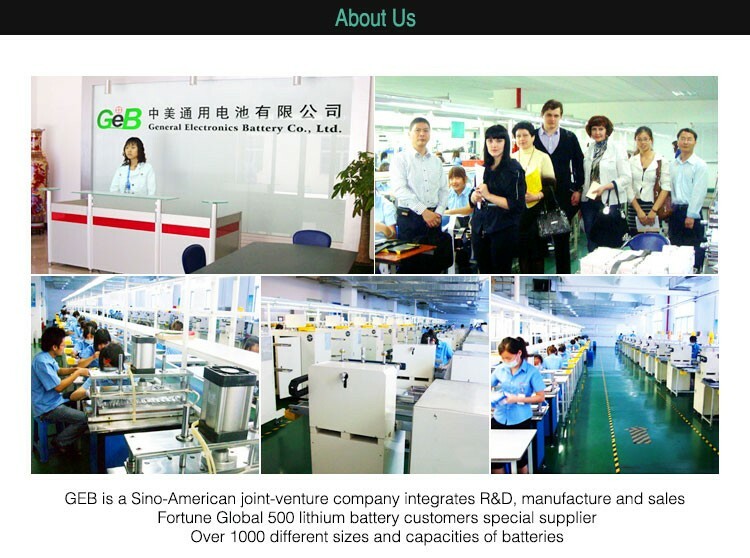 (10) Shocks, high temperature, or contacts of sharp edge components should not be allowed in battery pack assembling process. (1)Batteries should be charged to about 30% to 50% of capacity. (2)Indoor storage in cool conditions without direct sun light on the packs or cartons. (3)Store batteries in a dry location with low humidity, and a temperature range of –20°C to +30°C. (4) Long-term storage can accelerate batteries self-discharge and lead to the deactivation of the batteries.To minimize the deactivation effect,store batteries in atemperature range of +10°C to +30°C. 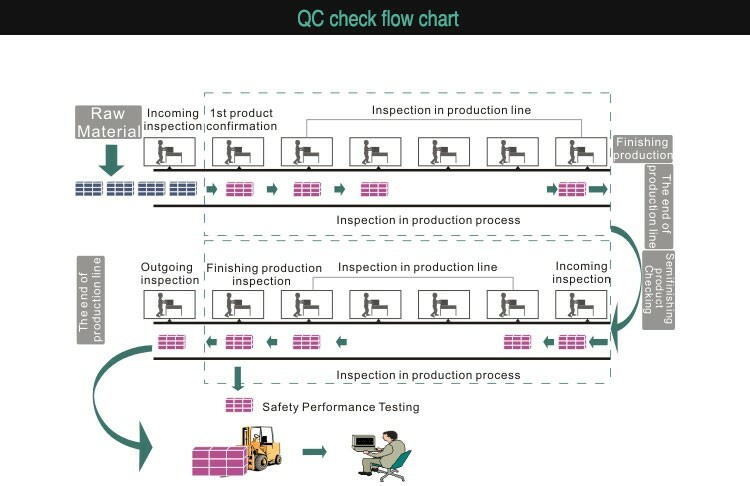 (5) When charging for the first time after long-term storage,deactivation of batteries may have led to decreased capacity.Recover such batteries to original performance through repeating several cycles of fully charging and discharging. Temperature: 23±2℃; Relative humidity: 60± 20% RH; Atmospheric pressure: 86~106 KPa. ,,,,,A:,Charging the cell initially with constant current at 0.2C and then with constant voltage at 4.2V till charge current declines to 0.02C.